Elegant and beautiful, these earrings have been hand forged, soldered and hammered from sterling silver and 14k gold filled wires. 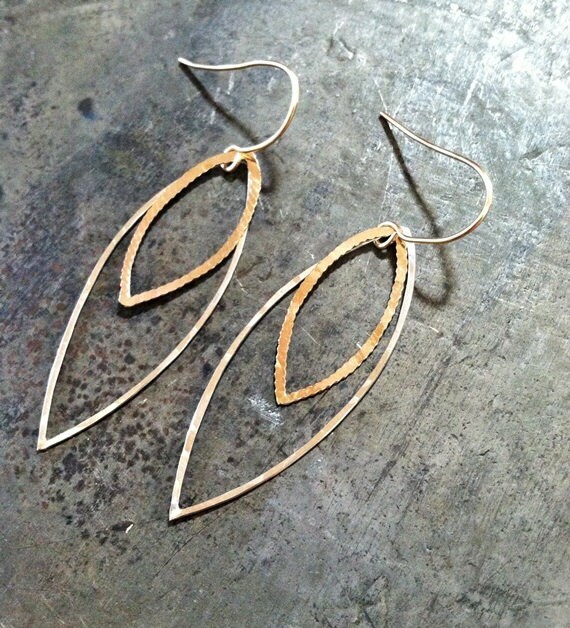 The earwires have also been hand formed from 14k gold fill. The long leaf measures approx 2 inches. 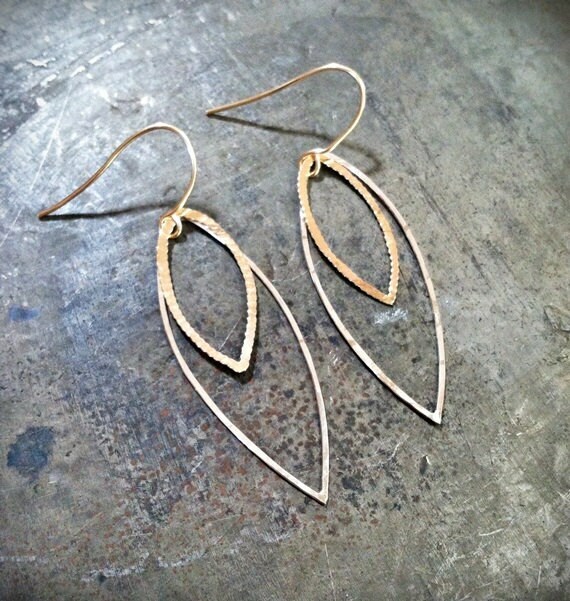 These earrings have great movement and lovely texture. Super lightweight!